Exclusively available in the Albox area from Carlos Saliente Plumbing and Heating Services. The Aquasonic water treatment system is scientifically proven and used all over Europe in both commercial and domestic premises. Each unit is specifically calibrated for your location. Hinders deposit and formation of cal, even at high temperatures and with any degree of hardness. Keeps its effects on the water without changes, even at distance, as long as there is water continuity. Does not alter properties of the water. Gradually removes existing deposits from pipework. Eliminates bacteria in the water (including legionnaires disease and salmonella). Requires only an electrical connection. Supplied and fitted from 950€. Home water softeners are appliances that trade the calcium and magnesium ions present in the water source with sodium ions (which are chemical magnets), thereby making the water soft. A home water softener has what is called a "resin chamber" which is made up of minute beads of sodium ions. As the water enters the resin chamber, the sodium ions attract the calcium and magnesium ions and swap places with them, making the water mineral-free and soft. When the sodium ions run out, a water softener control valve goes into action and transfers the collected magnesium and calcium ions into a brine (salt) tank, which is also a part of the water softener. The brine tank drains out the magnesium and calcium ions present in the resin tank and replaces them with sodium ions. The result is that the water is cleaner, does not clog up pipework, taps and water-using appliances with mineral residues, increasing the lifespan of appliances. You will use less detergent in your washing machines and dishwashers, and need less shampoo in the shower. And it makes your clothes feel softer. There are many brands of water softeners out there in the market. Many are rebranded. 30 litre or 40 litre water softeners, with pre and after filter, along with integral mains bypass, supplied and fitted.Water softeners manufactured by General Electric with Spanish distributors ensuring availability of any necessary spare parts or service in the future. Unit can hold program memory for up to 8 hours in case of power interruption, before re-programming of certain settings is required. Salt tablets (normally between 6-8€ per bag). Once again, dependant on water usage, one bag can last between 10-28 days. Pre filter (approx 8€). 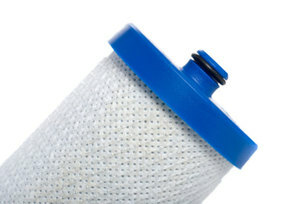 When the filter is dirty enough to stop you from being able to see its surface, it needs to be either cleaned or changed. This filter can be washed one or two times before it needs to be replaced. Frequency of replacement is wholly dependant on the quality of your initial water supply. After filter (between 12-15€). This is a taste and odour filter. Frequency of replacement is dependant on water usage, normally between 6 months and 2 years. Contains what looks like crystals. When all the crystals have dissolved, the filter needs to be replaced. Mains electrical supply. Minimal electrical usage - just enough to power the digital display and timer motor. 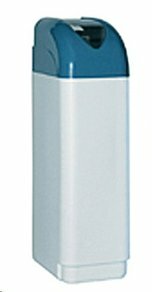 Prices of a 30 litre water softener, with pre and after filter, supplied and fitted, start at 1.100€.